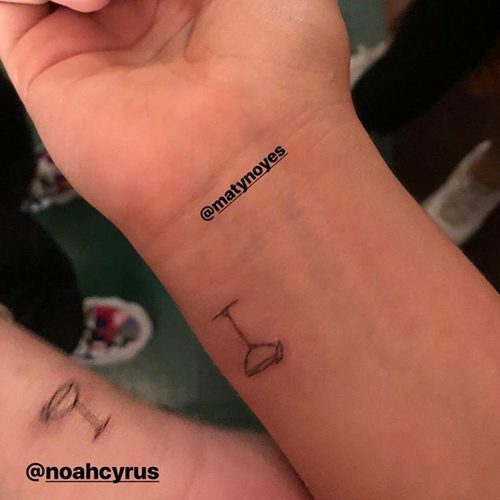 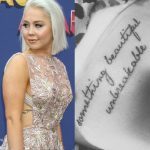 Noah Cyrus and her friend Maty Noyes get matching tattoos of Margarita glasses on their wrists. 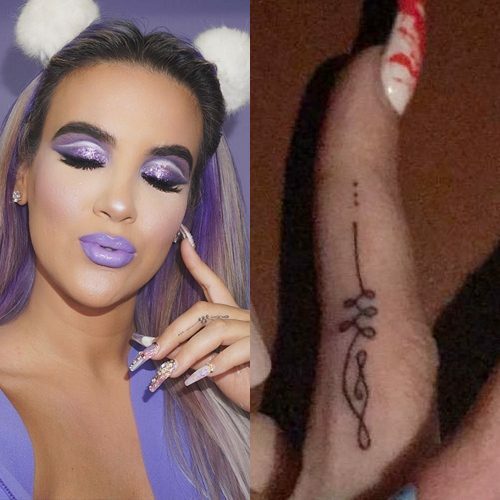 Nicole Guerriero has an unalome symbol tattoo, matching with Carli Bybel, on her left middle finger. 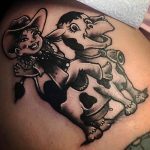 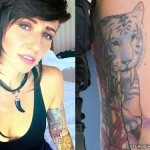 She got this tatt at Unroyal Ink Tattoo Studio and the design was done by Ian Griffith. 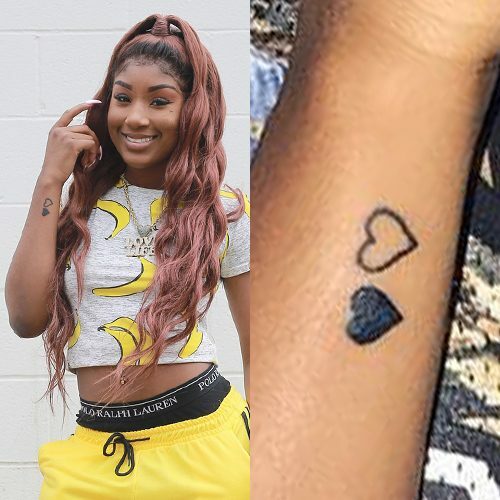 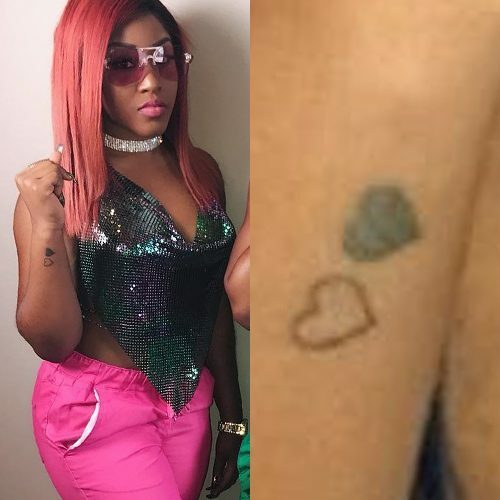 Ti Taylor has two hearts tattoo on her right wrist matching the one her sister Daysha has. 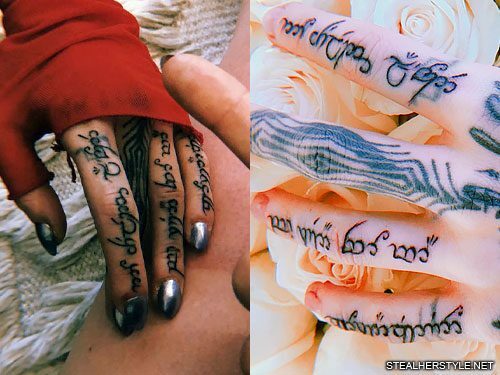 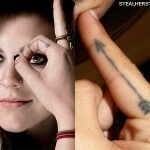 Eleanor Calder and her boyfriend Louis Tomlinson got tattoos on their fingers in honour of their love. 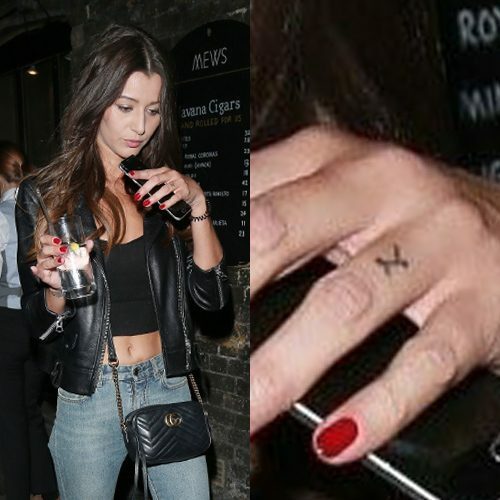 Eleanor got an ‘L’ tattoo on her ringer and Louis got a simple capital letter ‘E’ on the back of his hand, a place he couldn’t unsee even if he wanted to. 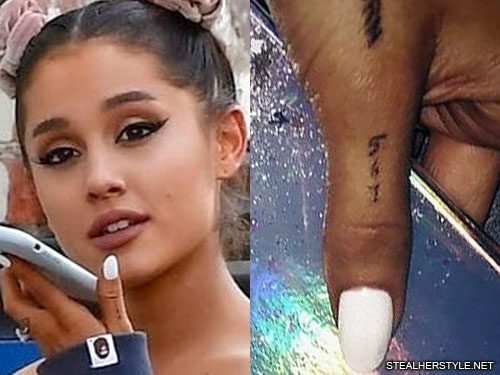 Ariana Grande has the number “561” written vertically on her left thumb. 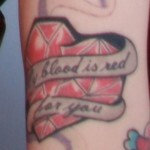 This number is the area code for her home town of Boca Raton, Florida. 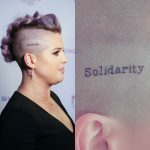 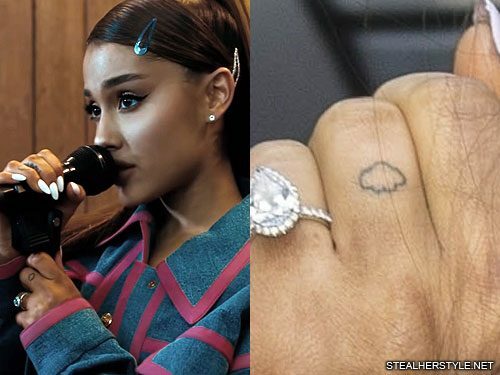 It is a matching tattoo with fiance Pete Davidson, who has his own Staten Island area code “718” on the same spot.